Registration for the 2019 CDSG Clans & Societies is now open!! We are pleased to announce our Honored Clan for 2019. The House of Gordon With Holly Warren. Holly has participated with clans for many years and personifies the spirit of the Clan Village with her warm and inviting personality making all who stop by feel welcome. She enjoys discussing Scottish heritage with people. Stop by to check your Genealogy, you may be a Gordon. Clan Gordon will lead the Parade of Tartans and open the Games. 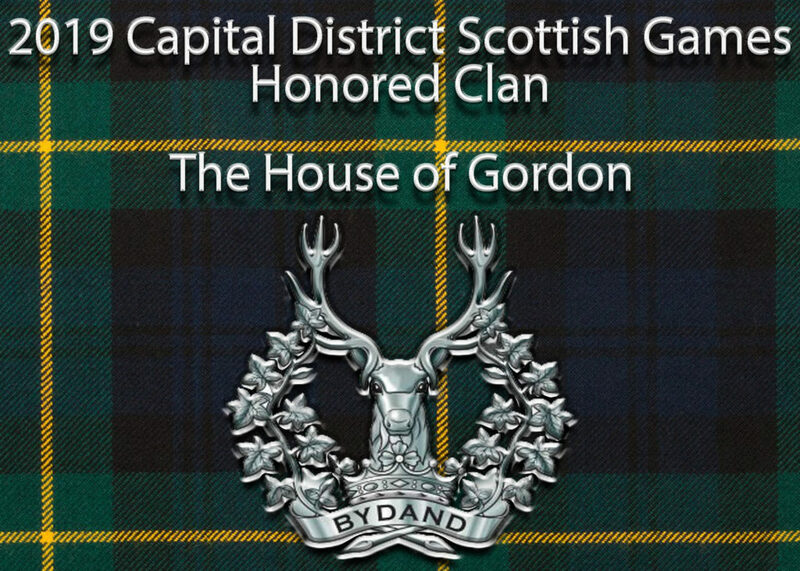 Congratulations Clan Gordon! Step back in time and trace your Scottish roots. 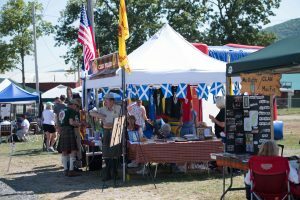 Do you want to talk Genealogy, Tartans, Family Crests, or just listen to some “old world” Gaelic? 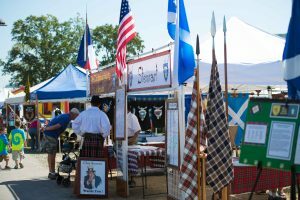 Then plan a visit to the Clans & Societies area at the Capital District Scottish Games. Athletics, piping, fiddle, and harp contests began in the 11th century when chiefs and kings met to choose the most talented men for their courts, body guards and amusement. The clan representatives traveled far to see and meet with you, as well as each other. 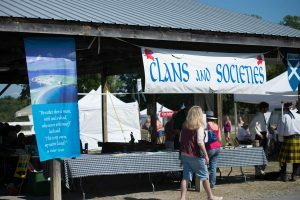 New memberships are welcome, but not required when making rounds of the clan tents to talk, look, and learn. The representatives are eager to answer your questions about families, names, Scotland, and Scottish life and culture. Those with family or society connections are especially welcome. Search your roots at the Games this year. 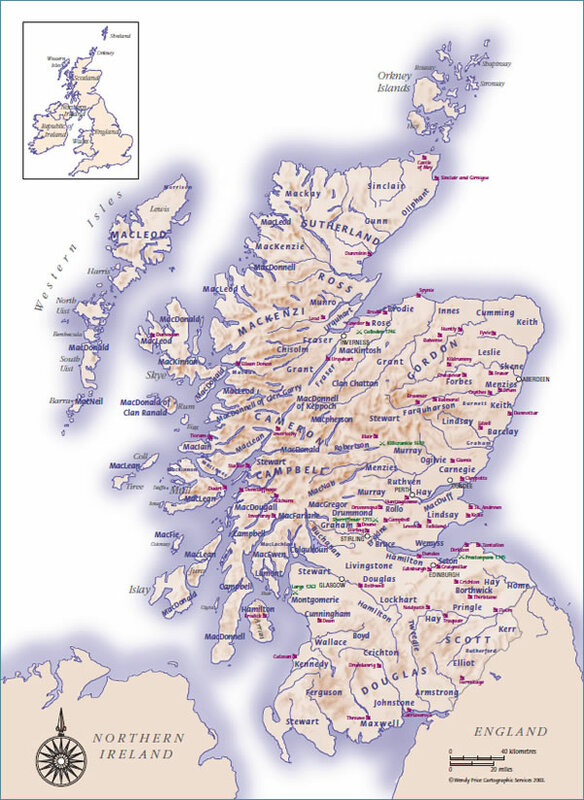 You may be eligible to become part of the fun, fellowship, and proud heritage that all Scottish clans have to offer. 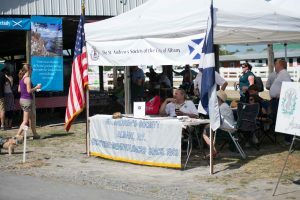 For more information on the Clans and Societies area, be sure to purchase a games program at the entry gates on the day of the games.